eBook version. This could be the most useful watercolour reference book you will ever find. This book has been designed for use by anyone with an interest in watercolour, whether beginner or very experienced artist. It contains hand-painted mixing charts created using a palette of only fifteen carefully chosen colours. Every possible 2-colour mix is shown, along with the most useful 3-colour mixes. The charts have been professionally photographed and colour-matched to be as true to life as possible. 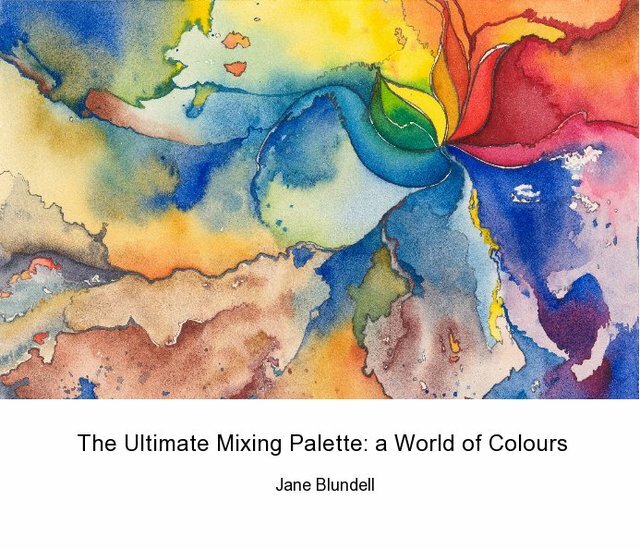 Each page is rich with notes about the various colour mixes and their suggested uses in paintings. It is also available as a physical book in hardcover or softcover. Please create a Blurb.com account so you can easily update your book if you get a new device. You will receive "both a KF8 file (.mobi) viewable on Kindle devices and reader apps, and an EPUB3 file (.epub) viewable on Apple iPad or Android devices". I have only viewed the book on the Apple devices, where you open it with the iBooks App, so I have not attempted to download the KB8 file, though I have heard it works - but keep in mind that this book is designed for fixed format to keep the notes linked with the pictures. You can also view it on desktop applications.